Most likely. I would be checking the fine print in the contract. Having been through this a couple of times there is usually some wiggle room on the price depending on what they have included as standard (signage, lunch, crew etc). The more they do, the more money there is in it for them. 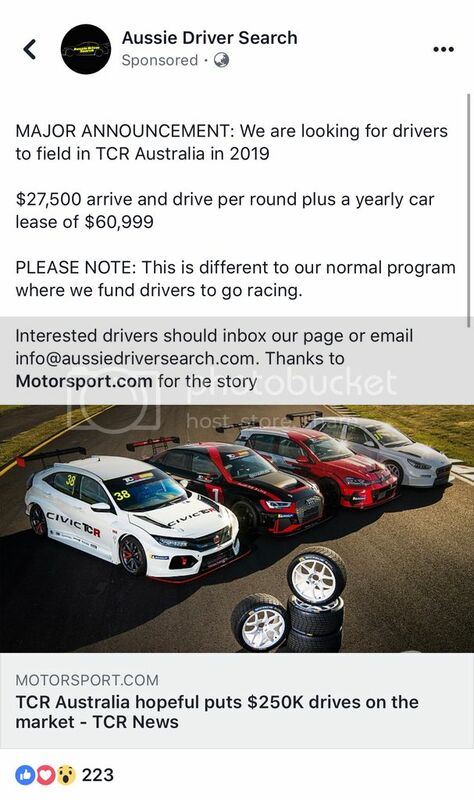 Seems to be from TCR Australia, but good to see this kind of promotion alongside the road car. This is what TCR needs to do, with manufacturers for maximum appeal. Ms Cerruti's remarks suggest that at least one Guilietta is heading down under. According to the article, there's a car on its way here. Hopefully they don't have the dodgy electrics! Like most Italian cars, while fast, they're somewhat fragile and expensive to maintain and run. Does that make 6(?) cars, that we know of, earmarked for the series now? Makes you wonder where things might be if they had been more accomodating to Rod Salmon's interest, and opened the grid up for the first year or two to some U2L proddies or U2L IP cars to ensure there was a fuller grid to start with. 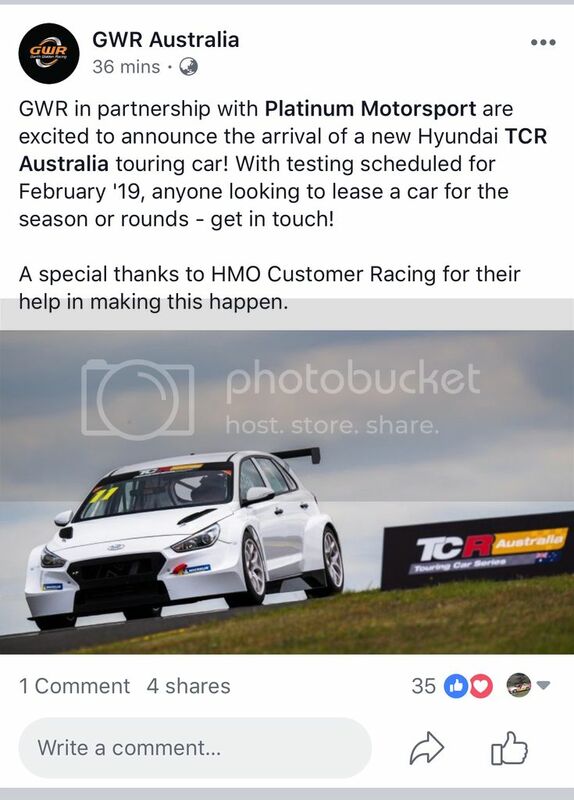 So is this a potential precursor to more motorsport entities that compete in Supercars also announcing a TCR program, or will GRM go it alone?